OMG! Has Snapchat Just Ruined Sexting?? Snapchat have just revealed a new feature and it could be a great thing or a way to make drunk snaps 10 times more embarrassing then they already are… an unlimited watch time. Yes, everything that Snapchat stands for has just be erased. 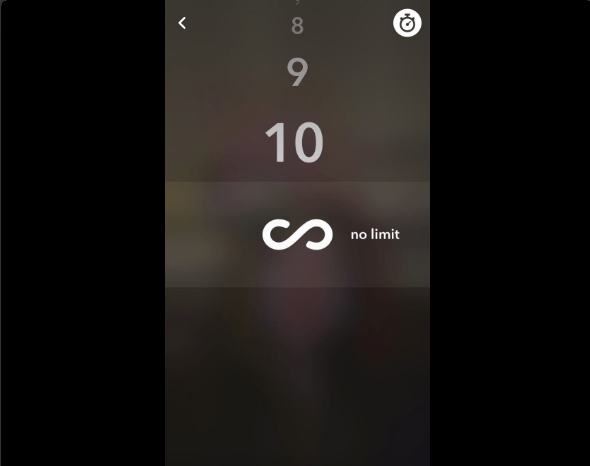 This Tuesday Snapchat announced the new ‘infinity’ feature! It will allow your friends to view the snaps you send them for as long as they please… Snapchat sexting just got uncomfortable… but now at least others can appreciate those bomb selfies for the deserved amount of time. Basically now you can open a Snap and it will stay open till you choose to close it!! Think of all the possibilities mwahaha! They also announced there will be a ‘loop’ feature so when you receive a video it will play over until you close it. Now you won’t have to put your glasses on and be in a quiet environment to watch a video from your crush or the person you are dating for anything you might miss. Don’t like this new Snapchat update, like am I about to watch a movie or a clip? What do you think about this new feature?? Let us know, we think it’s grand just watch out for those drunk ex snapping! Do You Like The Infinity Option? Yesss...now everyone can appreciate my snaps! Hell No... I don't have infinity time to be wasting. Why Everyone Is Hating On The ‘Galway Girl’ Music Video!